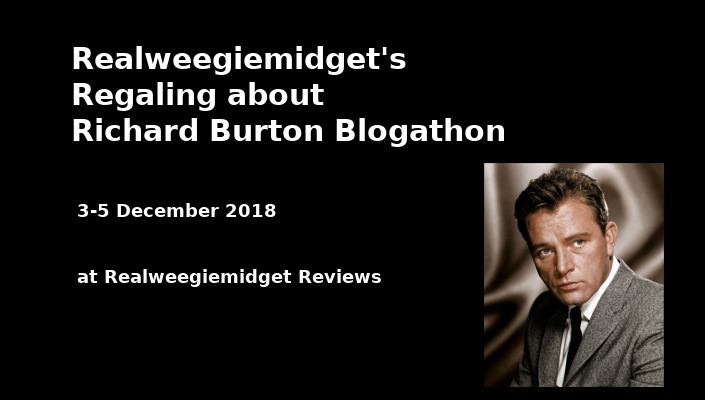 Gill is hosting the Regaling About Richard Burton Blogathon at her site Realweegiemidget Reviews. Click HERE for the tributes to the revered actor. A historical drama and a character study, Becket tackles such weighty subjects as politics, faith, the divine right of kings, love, jealousy, honour, and murder. The roles of King Henry II and the later canonized Thomas Becket were made for great actors to portray. Peter Glenville directed this film and the original Broadway production starring Laurence Olivier as Becket and Anthony Quinn as the King. During the run, the stars switched roles and when Quinn left the production Arthur Kennedy played Becket to Olivier's Henry. Peter O'Toole had been cast as the King in the Royal Shakespeare Company production but backed out when the opportunity came to make Lawrence of Arabia. His replacement was Christopher Plummer opposite Eric Porter. 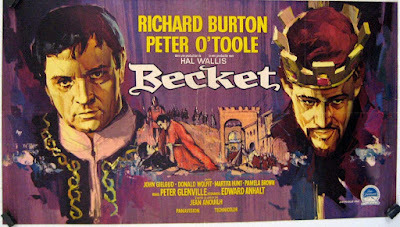 Becket was O'Toole's next feature film role after the Lean film made him an international star. Becket's placement in Richard Burton's early 1960s filmography comes between Cleopatra, The V.I.P.s, and The Night of the Iguana and The Spy Who Came in From the Cold. 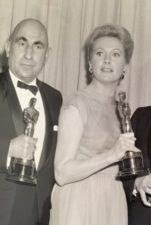 Both Burton and O'Toole were nominated by the Academy in the leading role category the movie season of Becket's release with Rex Harrison receiving the trophy for My Fair Lady. On one level Becket is the story of the deep kinship between two disparate friends. The sovereign of a land and the educated member of the class dominated by power. On another level, it is the story of the mistrust of the ruling class, the Normans, for their subjects, the Saxons. It is the mistrust between the monarchy and the religious leaders, and their struggle for power. The Divine Right of Kings must be secondary to the Divine Right of God, but on this earthy plain, the struggle is more than intellectual or spiritual. Feeling a great frustration with the disrespect accorded by his clergy, Henry has the brilliant idea of installing his educated friend Thomas Becket in the place of the recently deceased Archbishop of Canterbury. Even a king can use friends in high places. What Henry did not reckon on was that his moody friend whose search for meaning in his life had never been fulfilled would find that fulfillment in the priesthood and his sacred calling to this high position. Becket would not bow to his king's wishes. Becket would do his God's bidding. Becket would vex the king greatly. O'Toole is a flamboyant monarch, relishing in his position and confident in his abilities. Burton's more introspective character is played with the sardonic eye of the observer and the soul of a searcher. It is an operatic duet blending a tenor and a baritone in an exploration of emotion. Also nominated for an Oscar, in the supporting category is John Gielgud as King Louis VII of France. It is a performance with a deceptively light touch that balances the intensity of our leads as Louis plays his own game of politics vs. church. Martita Hunt is Henry's mother, the imperious Empress Matilda, and Pamela Brown his contentious wife, Eleanor of Aquitaine. Sian Phillips (married to O'Tool 1959-1979) is haunting as Gwendolyn, a woman who loves Becket but is desired by Henry. Her fate means more in the men's lives than they acknowledge. David Weston draws our interest as Brother John, a young monk whose faith and character inspires his bishop, Becket. The conflict between king and cleric results in the assassination of the Archbishop. The conflict also results in Henry humbling himself before his people and the Church in atonement. Henry has made a martyr of Thomas Becket and learns that a king cannot fight a saint. Becket is an engrossing drama with an interesting take on the history of the time, fascinating themes and performances for the ages. 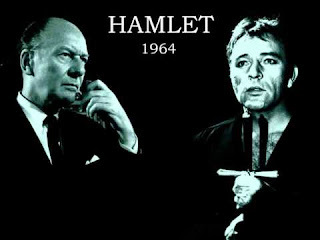 The year of Becket's release, 1964, saw Richard Burton Tony-nominated for starring on Broadway in Hamlet directed by John Gielgud, who also played the Ghost. Edward Anhalt won the Oscar for Best Writing Based on Material from Another Medium for his screenplay based on Jean Anouilh's 1959 play, Becket or The Honour of God. The Academy accorded the film 11 other nominations including Best Director for Peter Glenville and Best Picture. Acting nods went to Richard Burton, Peter O'Toole, and John Gielgud. The Academy also nominated the film's cinematography, art direction-set decoration, costume design (color), sound, editing, and original score. My pleasure. I hope you have the opportunity to see Becket soon. It holds up really well. The Academy was right with all their nominations. I agree with your ranking of favourite O'Toole performances. The Lion in Winter and Becket always spring to mind ahead of Lawrence. How can resist the dialogue? I know he was wrong, but I always root for peter O'Toole.... can't help it. Great post about a chance to see 2 champs go toe to toe. I can see that side of things. After all, he was KING. Things should have gone his way. It truly is a treat watching these actors in these roles. When we read someone's take on the same film we just wrote about, we always learn a little more. We agree about hiow good Becket is, and I liked how you put the conflict between the two divine rights at the center of your review. Well done! Indeed. More than one focus on the same film during a blogathon can be very enlightening. I was very pleased to see that we chose the same topic. I couldn't help but say to myself that great minds think alike. 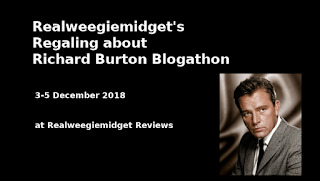 A great choice for the Burton blogathon. It’s certainly one of his best performances of the 1960s. It was interesting to read about who played the roles on stage because I can’t imagine anyone but Burton and O’Toole in the parts. On a personal note, I saw this as a kid at the theater. Disney’s Sword in the Stone was sold out, so we walked down to a nearby theater and saw Becket instead. Both were English costume pictures! "A legend is sung of when England was young..."
I suppose that could apply to both pictures. It must have been quite an eye-filling experience on the big screen. I love the impression of the more adult movies I saw as a child. It is fun to now see the things that went over my head. On the other hand, young people grasp a lot more than adults give them credit for. Like reading above your age level, it's good for you. I've heard wonderful things about this film, so I have to stop dragging my feet and finally see it. I mean Burton and O'Toole – and I haven't seen this yet?! Sheesh. It is time. It will be the perfect time when you connect with this movie. There is a lot to enjoy.